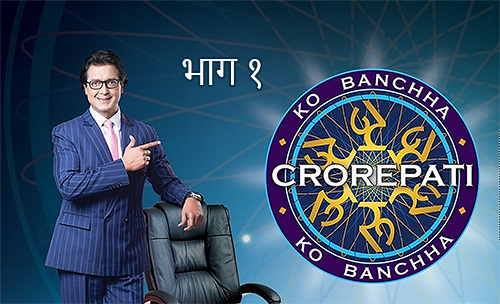 Ko Banchha Crorepati (Who Wants to be a Millionaire; also simply known as KBC Nepal) is a Nepali television show television game show based on the British program Who Wants to Be a Millionaire?. The show premiered on 2 February 2019 on AP1 Television and will run for 52 episodes. It is hosted by Rajesh Hamal and produced by SRBN Media Pvt. 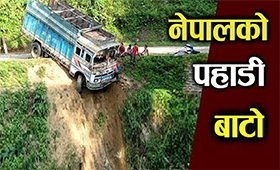 Ltd. Contestants can win large cash prize up to 1 crore (10 million) Nepali rupees. Rajesh Hamal, considered a national icon and prominent media figure, is an actor, activist, producer and director. The “Maha Nayak” of Nepali film industry has been actively delivering for almost three decades. His natural craze among the film audience has propelled him ahead of his time right from the start of his career in 1991. Since then, he has appeared in over 300 national and international films.